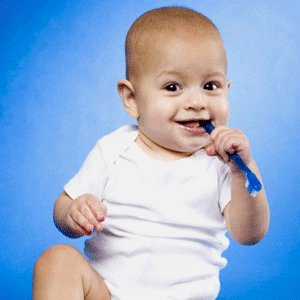 Miami dentists have long warned parents to pay strict attention to the oral health of children. Recent research conducted at the University of Illinois gives way to further concern, as studies show that infants are particularly susceptible to bacteria growth and cavity formation. It has been reported that about 40% of children have dental cavities by the time they enroll in kindergarten class (i). There are many reasons for this. First, children are often fussy eaters. Children may prefer sweet foods to those that are rich in fiber and bland in taste. Sweet foods typically contain more sugar than bland foods, setting the stage for the growth of oral bacteria and eventually tooth decay. Next, consider that children often take naps after meals or snacks. While nap time may award a child with much needed rest for developmental purposes, it may also expedite the bacteria and tooth decay process. Bacteria tend to grow in dark, moist, and warm areas. For this reason, all individuals are particularly susceptible to oral bacteria growth and tooth decay during sleep because the mouth is naturally warm and moist from saliva production. The more an individual follows a meal with a nap, the greater the chances of bacteria formation. Researchers at the University of Illinois have recently employed state-of-the-art technologies to observe scores of bacteria to determine bacteria origin, growth rates, and overall implications on health. Dr. Kelly Swanson commented on the study, explaining “The soft tissue in the mouth appear to serve as reservoirs for potential pathogens prior to tooth [formation],” (ii). Overall, the research team found a great diversity of oral bacteria in the mouths of babies who had not yet formed teeth. In light of these findings, Swanson believes that parents must be knowledgeable of oral hygiene and bacteria in order to prevent cavity formation in their children. *Number 5 above is particularly important in creating long term habits that will foster healthy teeth and gums for life. As we mentioned at the start of this article, napping or sleeping after a meal or snack may drastically increase the rate at which one develops cavities. Fostering healthy bedtime routines that do not involve eating or drinking can drastically reduce the bacteria that form in the mouth throughout the night. This in turn limits the risk of cavity formation. Our office welcomes current parents as well as soon-to-be-parents to contact Assure a Smile to start learning about oral hygiene and the bacteria that causes decay and disease. Our practice is committed to only the highest levels of service, and we believe that educated patients are empowered to create lifelong healthy teeth and gums. Miami residents may request an appointment online or speak directly with our front desk at 305-274-0047.